Now if you're looking for an amazing action-adventure that's chock full of conflict, excitement, plus a very moving story-line, then for f*ck sake, don't watch this 95 minute movie devised in 1976. It was Directed by: Doo-yong Lee; and Starred: Jun Chong, Deborah Dutch, with Su-cheon Bae. You have been duly warned. Thank you very much for telling me about what's happened to my old friend, Susan (Deborah Dutch). When I first touched down on American soil, yesterday, I was expecting to see him without getting involved with gangsters, policemen, and all of that other stuff and nonsense thereafter. But now I've found you and you've told me the circumstances surrounding his passing, I have another favour to ask of you. Please help me track down his killer's. Pretty please with a cherry on top! I promise you that I will teach you kung fu free of charge. Plus if any of these vile villains ever decide to kick you in that pretty little tush of yours, I will be there to nurse you back to health despite accidentally getting your car stolen three scenes later. Huh? What's that, Susan? You will help me? Oh bless you, my angel. Bless you till the day I die or someone else who might 'allegedly' resemble me. Yet again, that's most probably why what next transpires all takes a run and jump when I say to myself, 'Wong (Jun Chong), have I bitten off more than I can chew?'. As a Jap gets one hell of a whack - a Mexican builder better watch his hairy back - a cowboy shoots first and asks questions later - and at the end of the day, my old pal sure was one hell of a masturbator. 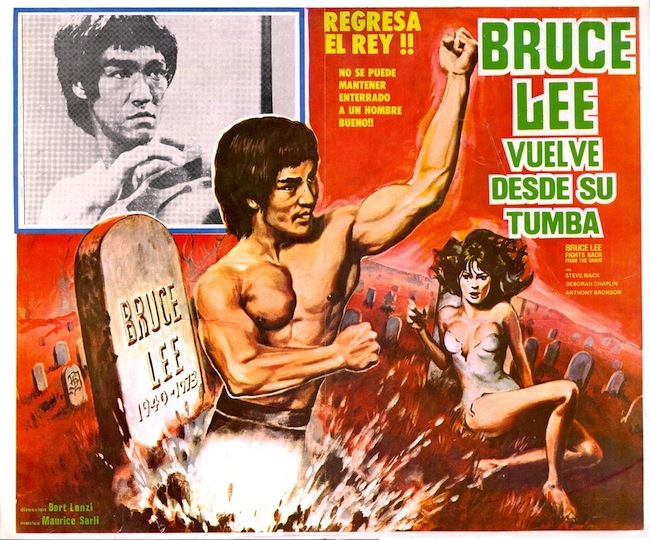 With a name like 'Bruce Lee Fight's Back From The Grave', you would have thought this film would be about the aforementioned Mister Lee coming back from the dead, only to then kick the living crap out of his apparent persecutors. But no. This movie is nothing like that at all, my friends. On a conceptual level this is a basic 'fish out of water' type tale. Chronicling how a martial artist is led to team-up with a nice American lady so he can avenge his friend's death. Of course this is also a 'Chopsocky' styled flick too. And it does entail a lot of pointless fighting which does impede its 'Sam Spade' designed narrative. Now don't get me wrong. I'm not trying to imply this movie would be a complete and utter waste of your viewing time. Because if like me, you're able to look past its Cary Grant toned dubbing, plus its rather philandering story-line, at the center of it is a pretty decent flick in spite of its very exploitative title. Simply put, the main hero of this piece comes across as your atypical 'man on a mission'. He wants to do what he thinks is right by his dearly departed pal, and he is greatly aided with this by the Susan character, who ultimately presents herself to be a very bubbly yet coquettish secondly role. Furthermore, even though some the battles on show weren't very punchy in execution, in the same breath, some of the others did have a real zing about them as well. Cause I did like how each of the bad-guys came from different ethnic backgrounds -- a'la the Game of Death -- plus how the fighting sequences did progress in a very developing manner -- one step at a time. But then again this 'Bruceploitation' film isn't Macbeth. Right, folks? And it's defiantly not the following filmic facts either! (1) The 'Hap Dong Film Company' first released this production in South Korea on the exact same day Bill Cosby reached 46 in the charts with his song, 'Yes, Yes Yes'. It was on the 12th of June, 1976. 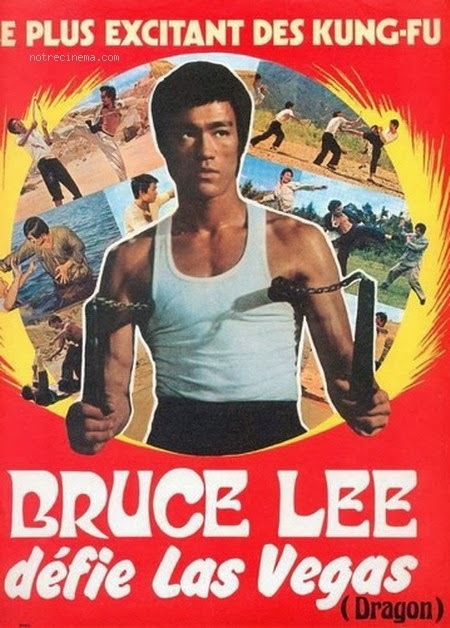 (2) Loosely translated, this project was entitled 'Bruce Lee Defies Las Vegas' in France; 'Bruce Lee Returns' in Hungary; whilst it's original title was either 'America bangmungaeg' or 'The Stranger'. 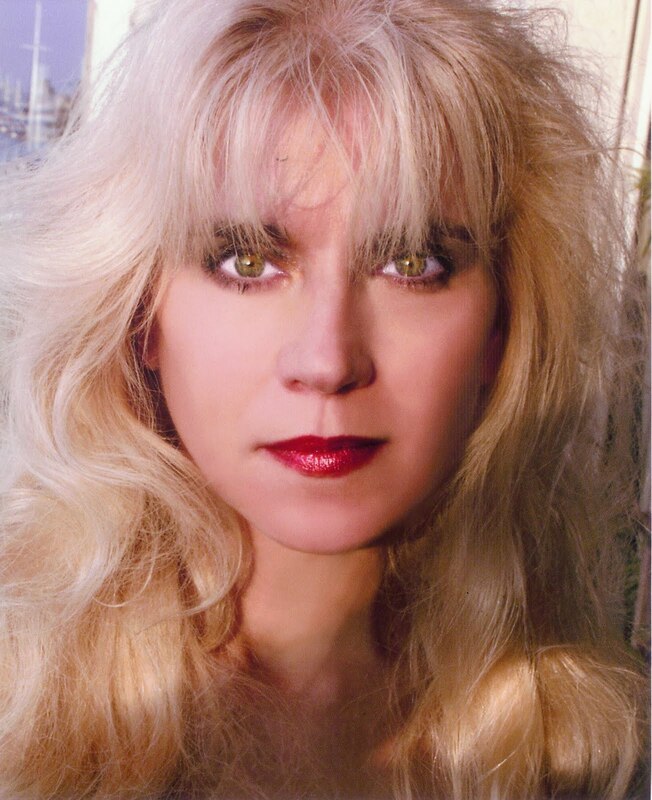 (3) Deborah Dutch, who played the part of Susan in this picture, would later go on and star in such prime time TV shows as 'Miami Vice', 'General Hospital', and 'The Young and the Restless'. (4) Despite being a Korean based production, quite a bit of this movie was shot on location throughout the Californian state of Los Angeles. (5) Now the nice Korean chap who was assigned to direct this flick, Doo-yong Lee, was in the business from 1970 to 2011, and during that time he directed such films as 'Are Your Husbands The Same? ', 'The Haunted Villa', plus 'Pong 3'. (6) This was the only time the two screenwriters Chee Do Hong and Chong Huang would ever attempt to write a movie. (7) That funny looking man who played Wong in this film, Jun Chong, only ever appeared in five movies throughout his thirty year career, including this one. 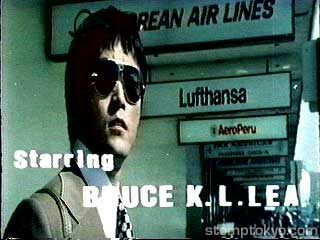 (8) After this flick laid itself to rest, Jun Chong starred in the action adventure, 'L.A. Streetfighters'; Deborah Dutch starred in the bio-pic, 'The Amazing Howard Hughes'; and Su-cheon Bae starred in the Korean-drama, 'New York 44 beonga'. 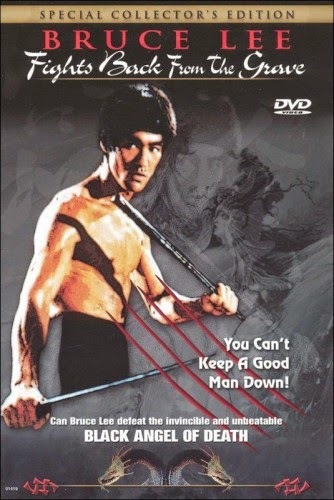 Overall 'Bruce Lee Fight's Back From The Grave' was a fairly so-so film to sit down and watch. Some of the action scenes were rather good. Some of the action scenes were rather bad. And conceptually the narrative felt slightly strained in execution, even though the actors involved did a fairly nice job with what they had in hand.